The familiar sound of a lawn mower on a hot summer day sometimes means danger for approaching motorcycles. Grass clippings on the road are dangerous, and in many municipalities, illegal. And motorcyclists are often the ones that pay the price. That’s right. It may be illegal to leave those excess clippings on the roadway in many places. Not only because the clippings pose a drainage/sewage problem, but the danger it puts motorcyclists in. 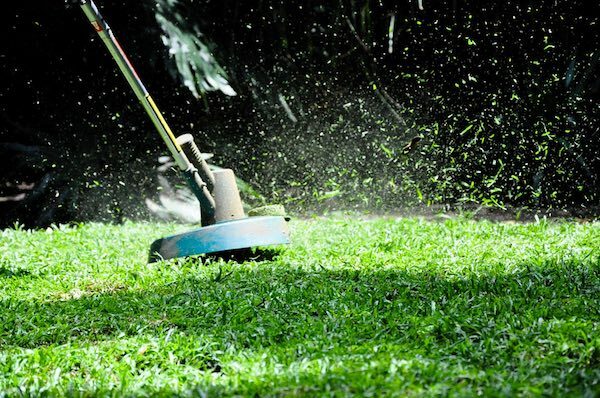 According to the New York Times, leaving grass clippings on the lawn is a beneficial practice. This allows the clippings to decompose naturally. However, some homeowners prefer to either get rid of those clippings or leave them in the roadway, which is a combination of laziness, carelessness, and neglect. Grass, and grass clippings, are about 85 percent water. And it doesn’t matter if those clippings are wet or dry, when they’re in the street, experts say they can be a danger to motorcyclists. When grass clippings come between a motorcycle’s tires and the pavement, things can get scary. Especially on curves, a motorcyclist needs a contact patch between the tires and the asphalt. When anything else goes into that area, it’s a safety risk. You may have never thought about it, but grass clippings can act as a sheet of ice. In the middle of the summer. Motorcyclists may have to take safety measures to avoid wiping out. They may slow down, switch lanes, or cross over a double yellow line to avoid grass clippings. It’s very easy to cut your grass in a way that doesn’t blow the clippings into the road. You can cut the grass so that the discharge chute is aimed back at the yard. And if you don't want the clippings in your yard, simply rake them up. You won’t be able to keep every single blade of grass in your yard, but that’s understandable. If you or a loved one has been injured in a motorycle accident, you may benefit from consulting with an experienced motorycycle accident lawyer. These accidents often cause significant injuries and subsequent high medical bills, and the insurance issues can be a nightmare. 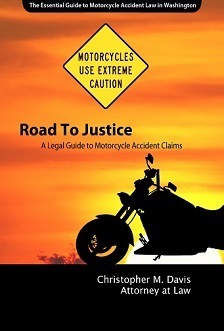 Attorney Chris Davis has nearly 25 years of experience handling motorcycle accident cases in Washington state. Contact our office today for a free case evaluation.